Dubrovnik is located at the coast of the Adriatic Sea, one of the world’s bluest and cleanest seas. It has been said that Adriatic is the bluest point on Earth seen from space. 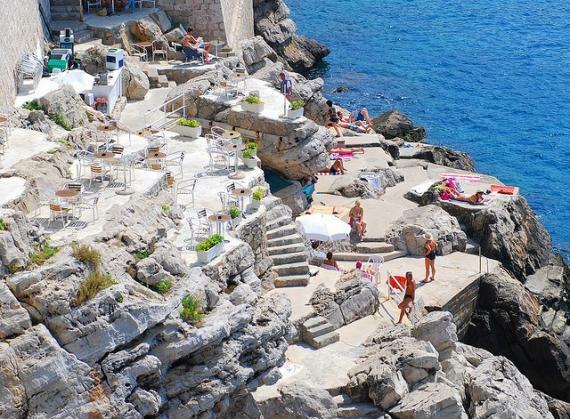 Amazing natural beauties and countless beaches are among the main assets that are making Dubrovnik such a desirable summer destination for visitors from all over the world. 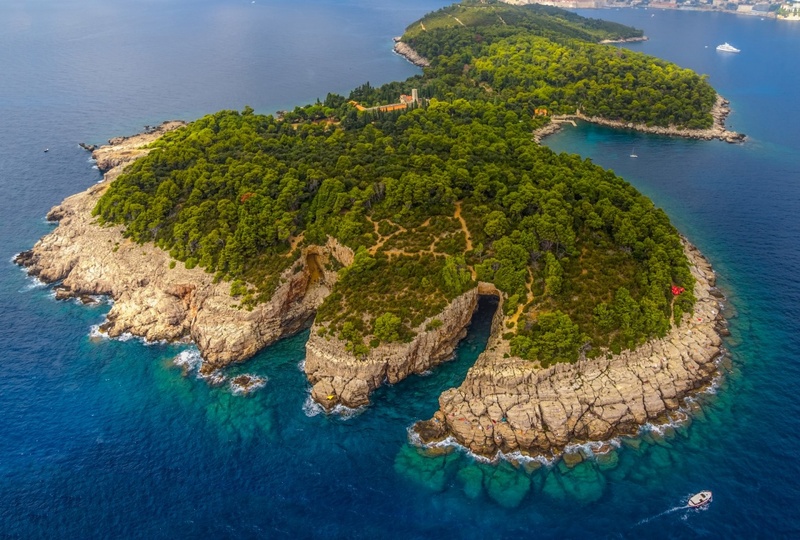 Bathing in fragrance of aromatic herbs and surrounded with pine trees that offer pleasant shade, most of the beaches in the Dubrovnik area are ensuring you the most welcomed summer refreshment along with various sport activities. 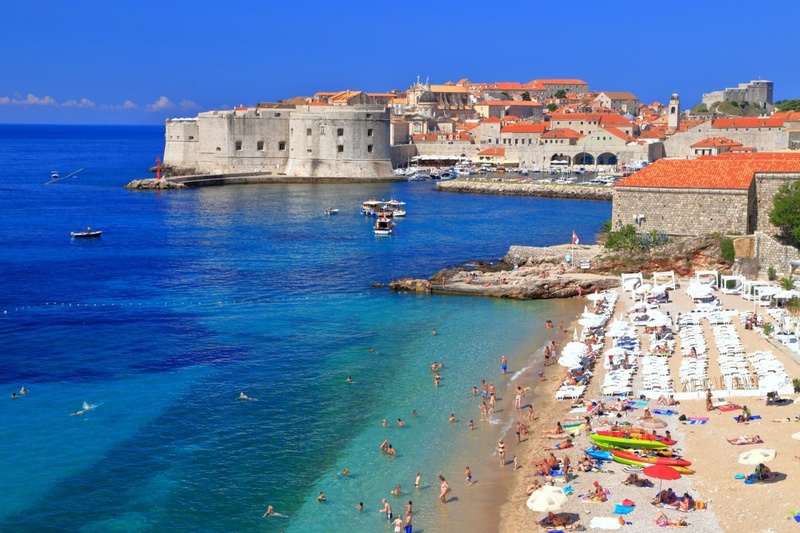 Dubrovnik is one of the top five destinations with the most beautiful beaches on the Adriatic coast. Most of the beaches are pebbly, but there are even a few sandy beaches perfect for vacationing with children and enjoying various activities on the sand. For those in search of privacy, there are beautiful and sheltered rocky coves perfect for romantic getaways. All of the beaches are easy to access on foot, by car or by boat. Copacabana beach is one of the most beloved family summer destinations in Dubrovnik. Situated on the Lapad Peninsula, it offers numerous summer activities and water sports all day long. This pebble covered beach is suitable for the disabled persons; it is equipped with the special elevator providing easy access to the sea. Banje beach is in close proximity to the Old City walls, providing a beautiful view of the city ramparts. Covered in pebbles, it offers a variety of water sports including sand handball and water-polo. 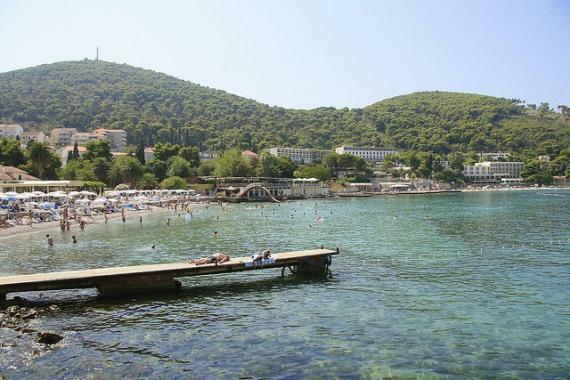 Buže is the beach located on the rocks beneath the city walls. It offers a beautiful sea view and a café bar ensuring that the fun continues even after dark. St. Jacob is often considered to be one of the most beautiful beaches in Dubrovnik. Being in the close proximity to the city centre, it is situated in a small cove covered with pebble. Enjoy in jet-ski rides and kayak paddling when you are taking a break from swimming and relaxing in the crystal clear sea. Šunj is the beautiful sandy beach on the Island of Lopud, 40 minute boat ride away from Dubrovnik. Situated in a peaceful cove, it offers fun for the entire family. Lokrum is a small island in front of the Old Town, providing a variety of romantic beaches and beautiful coves. They are surrounded with pine trees ensuring a cosy and a fragrant shade. While you are there you can also visit a Benedictine Monastery and a botanical garden. Cava is a partly naturist beach covered with sand and pebbles. 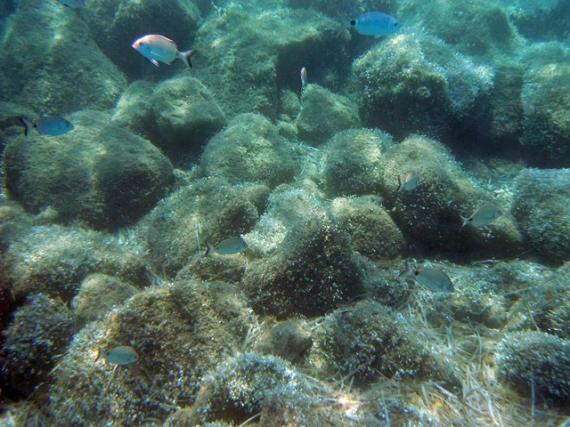 It offers a clear sea and beautiful view of the Elaphiti Islands. It is so natural for beaches in Adriatic Sea and its southern neighbor Ionian Sea with its famous Lefkada beaches, Zakynthos beaches and Kefalonia beaches, to find them in the first positions of competitions for the best beaches in Europe and even in the World. Even tourists who prefer to swim at swimming pools rather at the sea might change their mind after visiting such beautiful beaches!